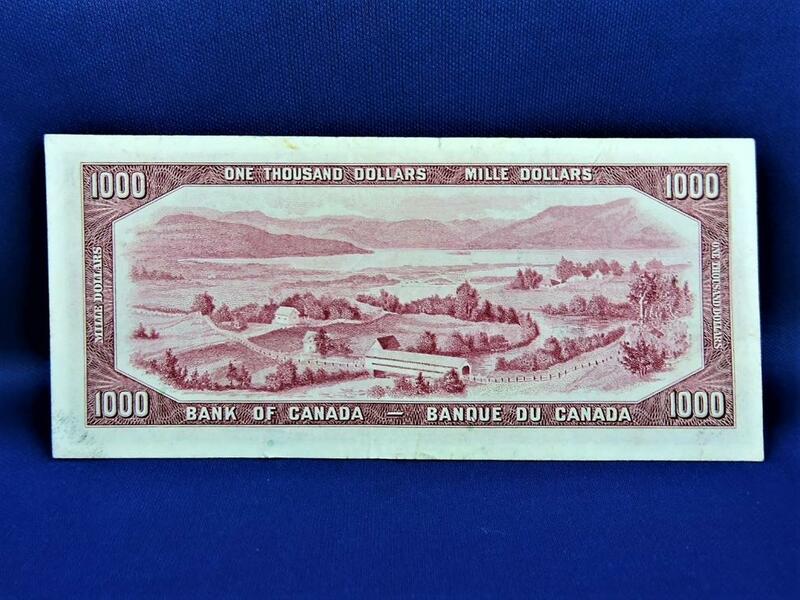 The 1954 Canadian $1000 Bank Note!!! 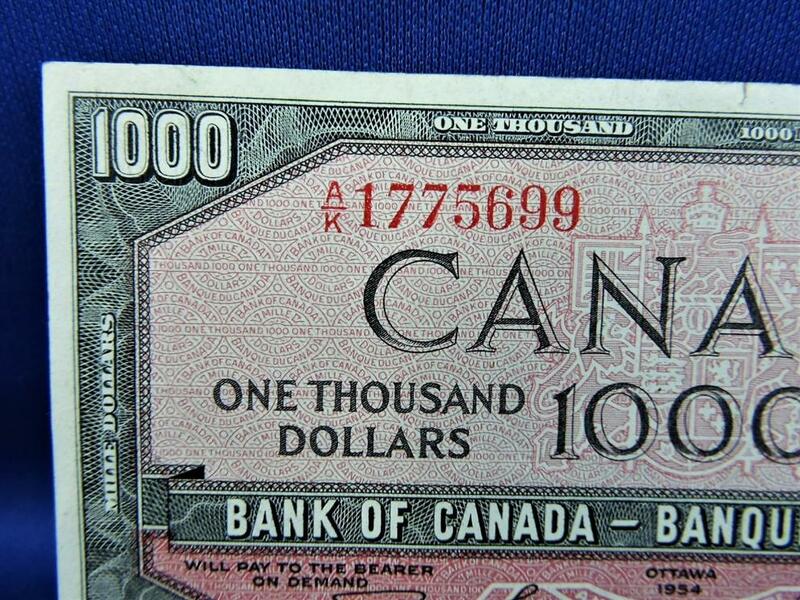 Serial Number A/K 1775699 Mint or Near Mint Condition... Bank of Canada!! 1954 $1000 Canadian Currency that will be eventually disappear from Canadian Currency use on a day to day basis has its days numbered. 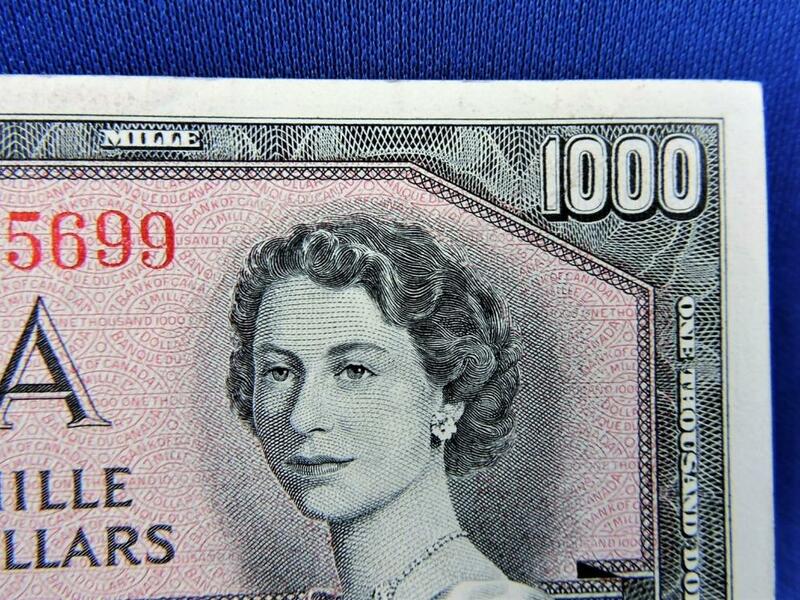 The note will always be worth and redeemable @ $1000 as described by the Canadian Government and Bank of Canada. However, it is predicted by some Collectors, Premium 1954 $1000 Mint or Near Mint Condition Notes will increase in collector value as the bulk of the poorer quality notes are returned to the Bank of Canada to be destroyed. Note: Buyer Premium of 10% will be added to the winning bid plus any costs for shipping, handling, insuring or payment costs. $1000 Canadian Bank Notes??? What is happening? What is the future of this Bank Note!!! $1000 Canadian Currency that will be eventually disappear from the Canadian Currency lineup used on a day to day basis has its days numbered. 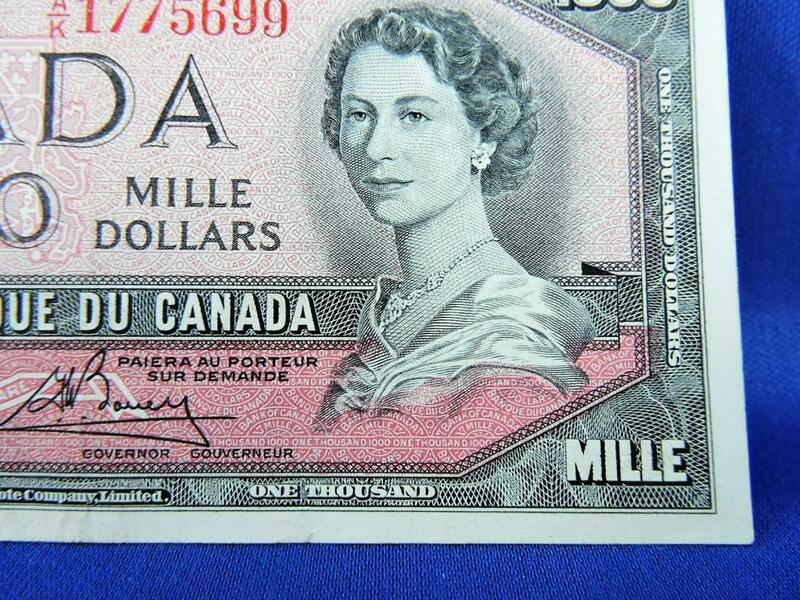 The note will always be worth and redeemable @ $1000 as described by the Canadian Government and Bank of Canada. 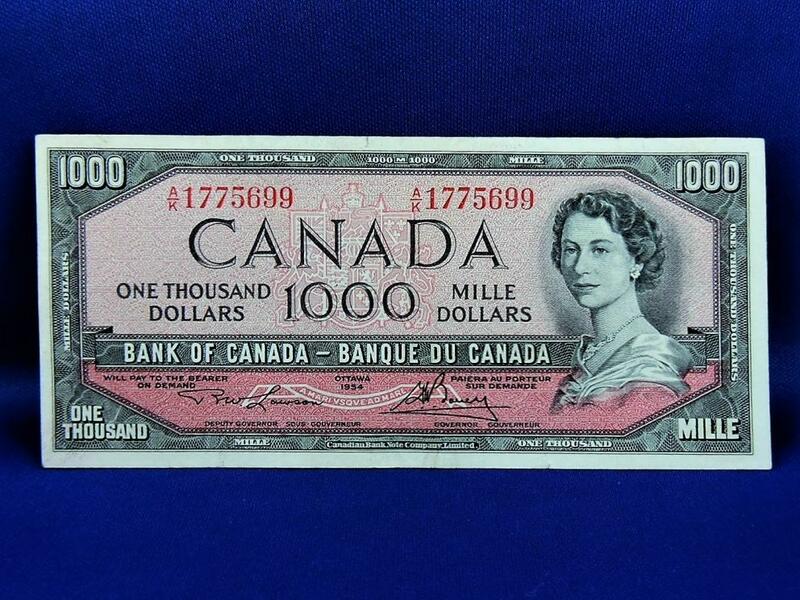 However, it is predicted by some Collectors, Premium 1954 $1000 Mint or Near Mint Condition Notes "will increase in collector value" as the bulk of the poorer quality notes are returned to the Bank of Canada to be destroyed. Buyer Premium of 15% will be added to the winning bid, plus any or all costs for shipping, handlng, insuring, payment instrument (EG: Visa, Master Card) charges.